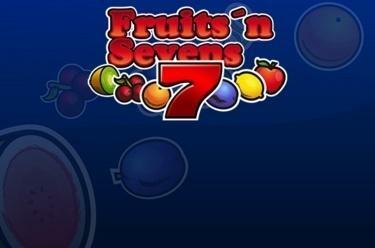 Play Fruits’n Sevens online for free now! The cheeky fruits of Fruits’n Sevens will be your best friends when it comes to grabbing as many Twists as possible: Let the reels spin, land 5 x the lucky number 7 and the fruity jackpot win is yours! Fruits’n Sevens is played on 5 reels with 5 win lines. Your aim is to land 5 matching symbols along an active win line. All winning patterns start on the left side of the first reel and run along the win line to the right. If the matching symbols in a winning combination lie side by side without any other symbols between them your tills will be ringing! Scatter symbols trigger a win, regardless of their position on the reels. 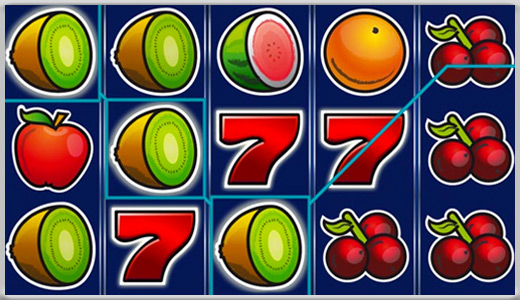 Fruits’n Sevens features a common progressive jackpot. If you land 5 x the 7, the progressive jackpot is paid out. How much you get out of the pot depends on your bet. 100% of the progressive jackpot is won with the highest stake. A share of the progressive jackpot, depending on the stake amount, is paid out for lower stakes.